Hull No. 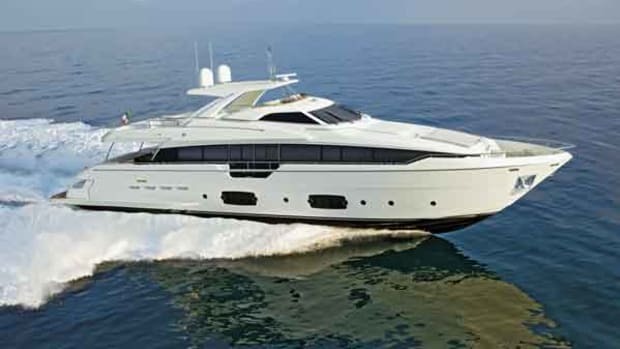 1 of Ferretti Yachts’ exciting new flagship—the Ferretti 960—launches later this year. 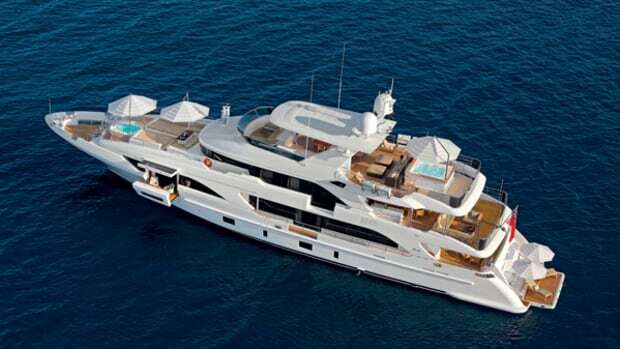 With design by Studio Zuccon International Project and Ferretti’s engineering department, Ferretti’s largest planing yacht to date sports aggressive lines, bright interiors, a full-beam ondeck master stateroom and four lower-deck guest cabins. This UK-based boatbuilder, founded in 1995 in a backyard shed, has quickly expanded to serve the global tender market. 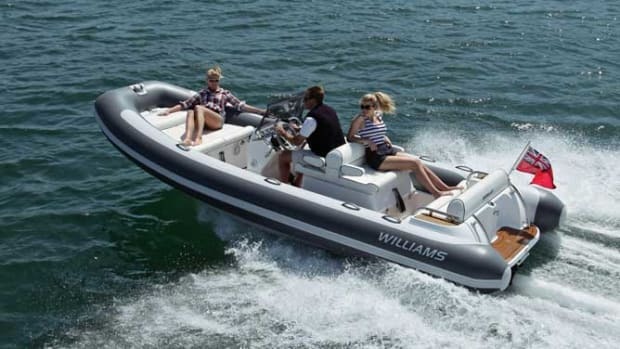 In Fort Lauderdale this year Williams Performance Tenders will show off the Dieseljet series including the 565.